Third through eighth grade classes participate in a drama production class one semester per year. The class meets weekly for an extended block of time on Wednesday afternoons. 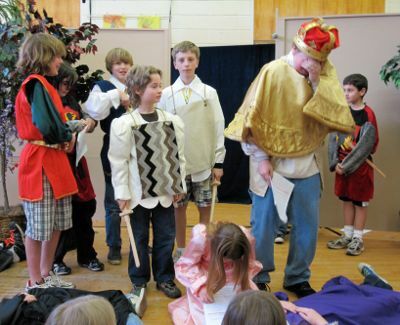 Plays are chosen for their relevance to that particular grade�s main lesson themes, and may be a reenactment of a fairy tale, legend, myth, Egyptian/Greek/Roman story, or Shakespearean saga. Students are assigned roles, and taught to develop their character through body movement and voice. Through script work, dialogue is explored and a play is produced for the school and parents. 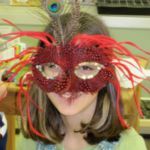 This is a process that allows the students to explore the elements of theatre for creative expression and deeper understanding of curriculum themes.